Congratulations to Steve Roggenbaum who has been elected to serve as Vice Chairperson for the Florida Suicide Prevention Coalition. He was elected during the annual meeting in June, which was held in Gainesville, Florida and included a special visit to the Survivors of Suicide Memory Garden at Cofrin Nature Park. The Coalition works to develop and implement suicide prevention, intervention and postvention strategies and programs in the state of Florida. The Coalition is organized in 15 Regions for the administration and coordination of all activities within the State. Each Region has a Region Director to help coordinate and communicate the activities for the Region.Roggenbaum has been a member of the Coalition since 2003 He also is one of four Gubernatorial appointees on the Florida Suicide Prevention Coordinating Council. 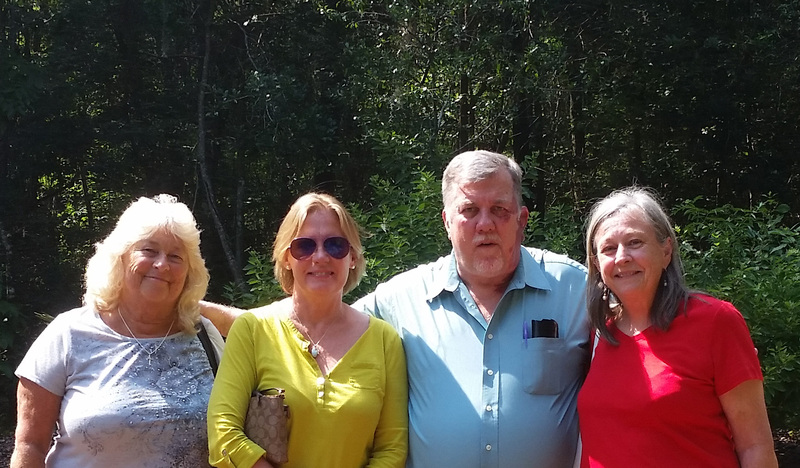 Photo above: Florida Suicide Prevention Coalition members visiting Cofrin Nature Park Suicide Memory Garden include (L to R) Laura Meyer, Betsey Westuba, Steve Roggenbaum, and Judy Broward. 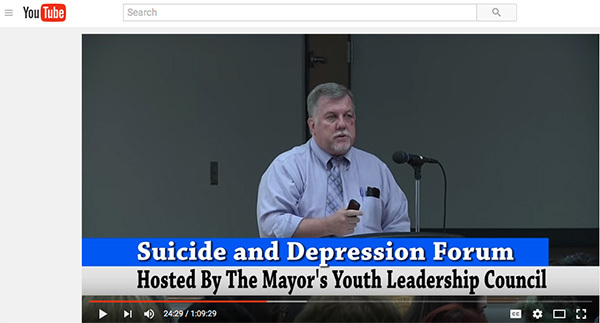 Roggenbaum recently presented at the Tampa Mayor's Youth Leadership Council: Suicide and Depression Forum. He joined several mental health professionals to present to parents and teens about suicide and depression. His presentation can be viewed at 23:30.